Capitan San Luis Publishing House will present two significant books on the leader of the Cuban Revolution, Fidel Castro, in the 26th International Book Fair of Havana. 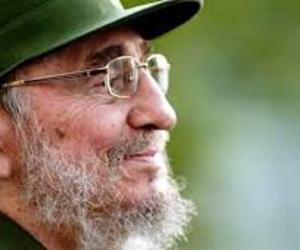 "Fidel Castro: What did he find at the triumph of the Revolution? ", is one of the titles that includes photos from the arrival of the Caravan of Freedom to the capital, on January 8, 1959, with Fidel at the head of the victorious Rebel Army. Juan Carlos Rodríguez Ross, director of the publishing house and author of the work, talked about the joy of the people when they saw Fidel, who, despite the tiring road trip from Santiago de Cuba, gave a speech from the north terrace of the Presidential palace. After rejecting occupying that building and the Military Camp of Columbia, he slept in a small room of a modest little hotel in Old Havana, where he used to stay in his student days, Rodriguez Ross said. ¨Fidel Castro and the United States, 90 speeches, interventions and reflections, ¨is a compilation by Abel Enrique González Santamaría, with a prologue by Miguel Barnet, president of the National Association of Cuban Writers and Artists. The other works by this same publishing company are "Los hombres del Escambray," by Rodriguez Ross, and ¨El rostro oculto de la CIA. Antesala de Playa Girón, ¨by Manuel Hevia Frasquieri and Andrés Zaldívar Dieguez, in addition to the comic ¨El oro de Oyá¨ (one of the deities of the Yoruba religion), by Wimar Verdecia and Omar Felipe Mauri, as well as the detective story ¨Un boceto para el polvo, ¨by Jesús Orta Pérez. The 36th International Book Fair of Havana will run from February 9 to 19 to then reach the rest of the country until April 16.